When your heating, air conditioning, or plumbing breaks down, you need an experienced plumber, heating, and air conditioning company in Haledon, NJ. At Rite Rate, we offer pocket-friendly plumbing, air conditioning, and heating repair, replacement, and installation services. We guarantee 100% customer satisfaction and the job will be carried out by licensed professionals. Struggling with a malfunctioning heating system in the middle of the night can be stressful. When you call Rite Rate, we’ll respond promptly with 24-hour emergency heating repair in Haledon, NJ. We can fix any furnace and boiler regardless of the make or model. Did you recently move and need a heater installation? Perhaps your old one is beyond repairs. If that’s the case, with our expert heating company in Haledon, NJ, Rite Rate can give you peace of mind. A well functioning AC unit goes a long way in creating a soothing atmosphere for your home or business. However, that all changes when the air conditioner starts malfunctioning. Perhaps, the condenser is jammed or the unit is consuming too much energy. In such cases, you need a reliable 24/7 air conditioning company in Haledon, NJ such as Rite Rate. No matter the extent and severity of the issue, we are able to fix, replace, or install any residential and commercial air conditioner. Are you tired of your clogged toilet or leaky faucet? Is your sewer backed up or your drains need cleaning? If yes, don’t worry because Rite Rate has a team of plumbers ready to assist you 24/7. Our well-qualified team is able to repair, replace, and install faucets, sinks, toilets, drains, pipes, sump pumps, and much more! No matter what plumbing service you need, Rite Rate has you covered! We offer high-quality expertise in the field of plumbing, cooling, and heating repair in Haledon, NJ. 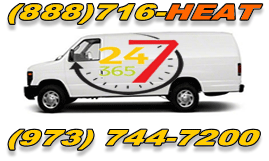 You can contact us anytime for 24/7 services that are affordable and efficient. With our 100% customer satisfaction rate, you can trust that we’re the best plumbing, air conditioning, and heating company in Haledon, NJ!